The online LLM (Global Competition and Consumer Law) is one of only a few courses in the world, that covers every major aspect of policy, law, economics and institutions in this field from multiple perspectives: government, practitioner, business and enforcement. If you are looking to establish or advance your expertise in the area of global competition and consumer law - this course is for you. The University of Sydney Law School is one of the world’s leading law schools. We are ranked 14th in the world for the discipline of law in the world in the 2018 QS World University Rankings. Our Master of Laws (LLM) is one of Australia’s leading postgraduate coursework programs in law, providing law graduates with specialist legal skills and knowledge. 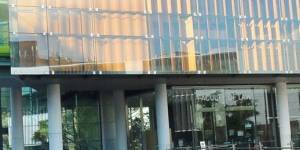 Which University in Australia is the Best for PhD in Maritime Law?